First Squad detectives are investigating an Assault that occurred on Thursday, May 21, 2015 at 8:30 pm in Baldwin. Baldwin, NY - May 24, 2015 - First Squad detectives are investigating an Assault that occurred on Thursday, May 21, 2015 at 8:30 pm in Baldwin. According to detectives, while inside the Oasis Bar, 779 Brooklyn Avenue, the victim, a 48 year old male, became involved in a verbal argument with an unknown male subject. The argument escalated and the subject, who was described being an Asian male in his late 40’s and about 5’5” tall, withdrew a steak knife and stabbed the victim in the neck causing a large laceration and heavy bleeding. The subject then fled the bar in an unknown direction. The victim was transported to an area hospital in a private auto where he received stitches to treat his wound. Detectives request anyone with information regarding this incident to call Crime Stoppers at 1-800-244-TIPS. All callers will remain anonymous. 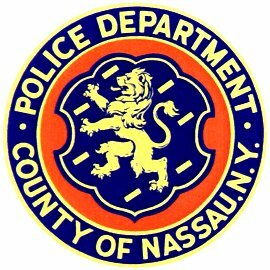 Subject: LongIsland.com - Your Name sent you Article details of "NCPD Investigating Case of Stabbing at Baldwin Bar"